Bulls weigh from 1600 to 2100 pounds. They are smooth polled although an occasional "scur" is observed. Both bulls and cows are very docile in nature. The cow udders are well set and tight with small black teats. Back lines are straight and strong with a slight slope to the tail head. 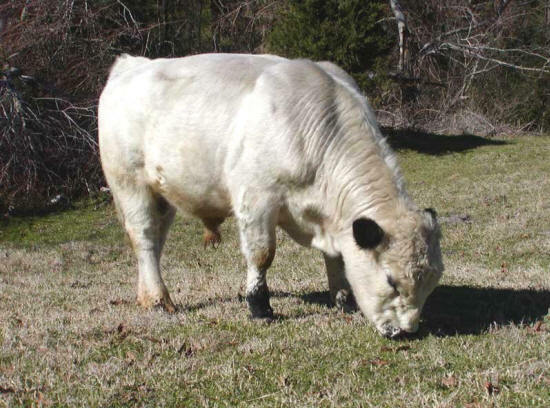 British Whites are are noted for fertility, calving ease, efficiency and good nature. They have a lean and tender carcass with superior milking ability and hardiness. The British White Cattle Association of America (BWCAA) was formed in 1985.